Last weekend I met up with a friend for movies and drinks. Let me start this blog post with a side note: the new Mission Impossible movie was pretty good! Later that night I sat on my friend's couch and watched a documentary on Bob Dylan. It focussed on the time he became famous, and one scene reminded me why I love this man so much. He sat in a room filled with journalists and one of them asked if he knew why many people referred to him as 'the voice of his generation'. Dylan couldn’t give him a satisfying answer. It wasn’t that Dylan didn’t want give the journalist an answer; he just didn’t know what to say, — he explained in a later interview. The musician said that he never wanted to be some kind of 'voice of a generation'. He just did what he loved to do, regardless of whether people were going to love or hate his work. So many fans listened to his folk music, but then he suddenly changed everything and made music with a big rock band. Not everyone was happy about that. They came to see the folk singer and got the rock star. Bob Dylan didn’t care, because he went where his passion lead him. This documentary showed me again how important it is to stay true to your work. To stay true to your heart. I see so much photographs that looks the same, because it’s easily likable on Instagram, 500px or Facebook. Don’t get me wrong, it can be amazing work and I admire the artist behind it, but it’s not always clear if the art comes from the need of expressing yourself or from the need to be popular. It’s nothing new and I believe every generation of artists will have to deal with that. For example: in the last few years, I watched some amazing young photographers emerge and I asked myself; how could they reach this level of photography at such a young age? Their work and effort felt honest and authentic. Now when I read an article about an upcoming young photographer, that feeling has vanished. So much of their work seems to be only a part of a popular style, that was established and approved by facebook. I still enjoy looking at it, but I don’t feel the authenticity anymore. We all have artists we look up to and we all integrate different parts of their work into our own art. I’m no exception — everyone wants his work to be acknowledged by others. The question is, though, how much does it affect our process of creating? Would you stop working on a project because people don’t show any interest in it, or would you keep going? Bob Dylan kept going, despite the naysayers. That’s why he is a big role model to me. P.S. The series you see here is about my final time in college. 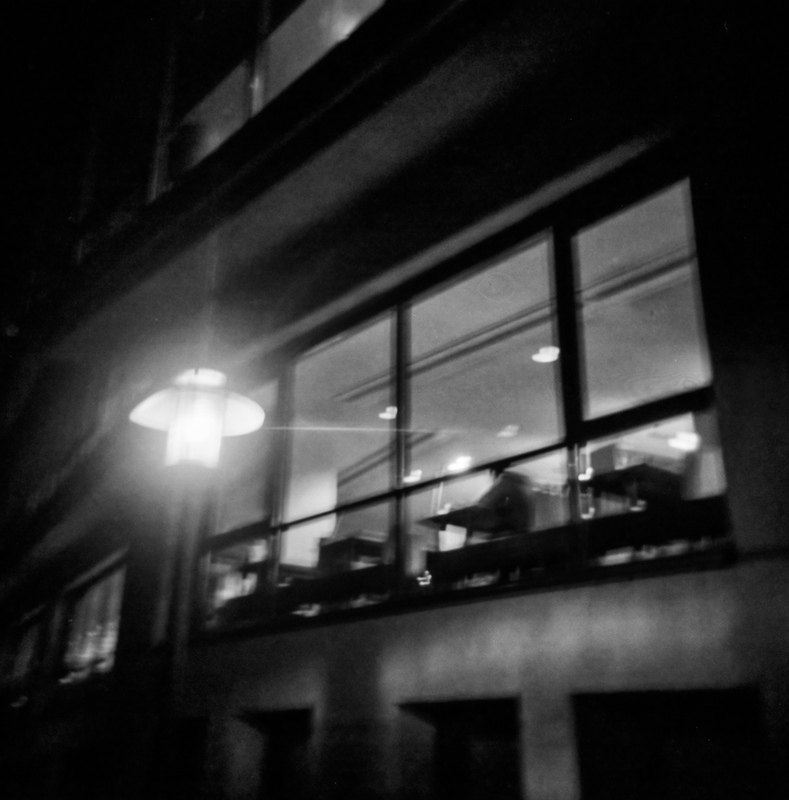 I lived mostly in the library because of my exams and so I brought my Holga with me for the time when it got dark.